People in China talk of a “cold wind from the north” whenever the Chinese Government (formally/formerly Communist, still “totalitarian”) gets conniptions. They tend to wait out the storm and go, so far as possible, about their own business. There are winds blowing right now, principally over Xinjiang and Urumqi, but also over Chinalco and the “niceties” of foreign investment. Blustering from our opposition doesn’t help much. 1. John Garnaut in today’s Sydney Morning Herald. … It is unlikely that the company (Rio Tinto) has created its own specific vulnerabilities to China’s harsh and arbitrary criminal system. But in China, with its enormous system of laws that are seldom enforced, the specifics of Rio’s iron ore dealings are only the starting point in working out how things went so horribly wrong. "There is always the question: why did they choose to go after these people at this time?" says Jerome Cohen, an expert on China’s state secrets laws at New York University. "Was there such hostility between Chinese and Rio Tinto iron ore that coloured this crackdown?" The answer to that question is obviously "yes". The bigger, geopolitical question is why China’s resource insecurity had grown so great, and Australia’s diplomatic leverage had been so diminished, that China’s top leaders saw fit to elevate the iron ore trade into a matter of national security in spite of the inevitable and substantial costs to China’s progress in the world. The answers are complicated and begin with China’s leadership, who have been groomed and promoted on their readiness to see politics and security at the heart of any policy problem. 2. Isabel Hinton, “A Cold Wind in Beijing”, New Statesman, 5 February 2009. …China presents its economic statistics with "Chinese characteristics". This past quarter the country posted 6.8 per cent growth, half the double-digit trend of recent decades and already worrying – but the truth is darker still. As the economics guru Nouriel Roubini points out, China publishes its quarterly GDP figure on a year-over-year basis, unlike the United States and most other countries, which publish their GDP growth figures on a quarter-on-quarter, annualised basis. When growth is slowing sharply, quarter-on-quarter growth may be negative, but the year-over-year figure looks positive. Converting the 6.8 per cent into the more standard annualised figure, according to Roubini, gives a truer picture of the Chinese position as close to zero. That bull might be a little shy of reappearing. That this spells trouble is no secret in Beijing. The Year of the Ox is also a year of resonant anniversaries in China, many of them unmentionable in official circles. In March, there’s the 50th anniversary of the Dalai Lama’s flight into exile and the 20th anniversary of the imposition of martial law in Lhasa. It will also be a year since the biggest wave of protest across all the Tibetan territories. Spring will bring the 90th anniversary of the 4 May movement, under whose banner patriotic students and intellectuals, outraged that German concessions in China had been given to Japan at Versailles, marched to demand political and cultural modernisation. On 4 June, the 20th anniversary of the crushing of the student occupation of Tiananmen Square will be marked, and 1 October will be the 60th anniversary of the founding of the People’s Republic. In December will come the anniversary – all but forgotten in China and abroad – of the crushing of the Democracy Wall in 1979, when Deng Xiaoping turned his back on what the dissident Wei Jingsheng resonantly called the "Fifth Modernisation": democracy. 3. Isabel Hinton (2), “Desperately seeking democracy”, New Statesman, 28 May 2009. …A few days ago a Chinese friend came to meet me, wearing a T-shirt on which were printed three two-digit numbers: 90 30 20. To anyone who has studied China’s century-long search for an accountable political system, the numbers will be familiar: 90 marks the number of years since the May 4 Movement and 30 pays tribute to the Democracy Wall movement of 1979. That year, Deng Xiaoping announced his list of “four modernisations”, all of them economic. In the extraordinary weeks that followed, a stretch of wall near Xidan in central Beijing became the forum for a passionate debate about China’s political future. The hero of the hour was Wei Jingsheng, an electrician from the Beijing Zoo, with his now famous call for a fifth modernisation to be added to Deng Xiaoping’s list: democracy. Wei was to spend nearly 18 years in prison, writing a long series of closely argued letters to Deng before he emerged, still defiant, in 1997, and was sent into exile. The last number – 20 – is, of course, the most immediate and most painful reminder: it commemorates the democracy movement that was crushed on 4 June 1989…. 4. On Xinjiang: Report by Danny Vincent on the UAE site The National 11 July 2009. …The riots in Urumqi erupted a week ago when demonstrators took to the streets in protest to ethnic violence which killed two Uighur in south China last month following rumours that factory workers had raped two Han Chinese girls. The riots in the resource-rich region forced Hu Jintao, the president, to abandon plans to attend the G8 summit in Italy. The unrest is comparable to unrest in Tibet last March. 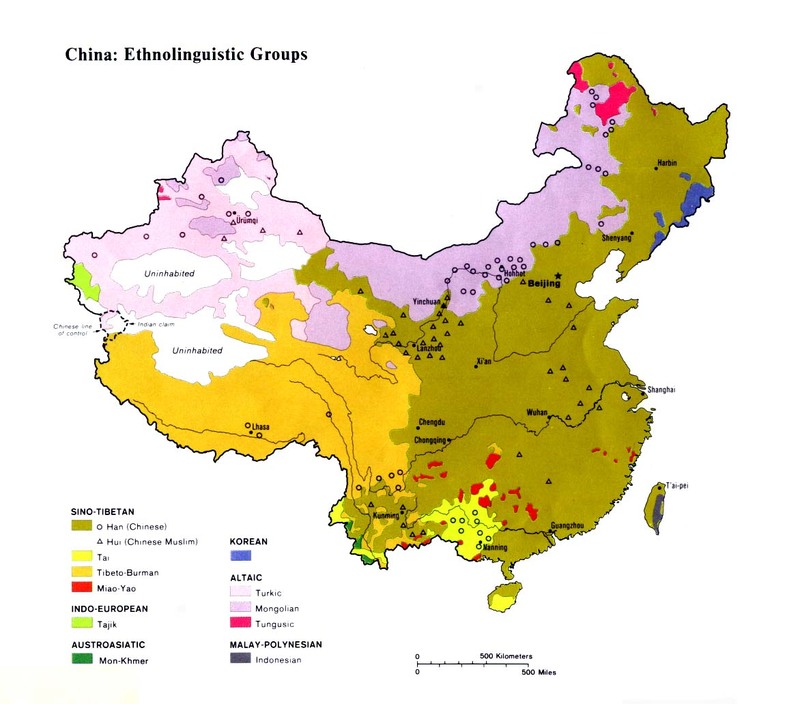 Both are politically sensitive regions where the Chinese government blames external influences on the unrest, while playing down ethnic tension. Beijing has blamed what it calls the Dalai Lama clique for the uprising 18 months ago in Lhasa. Officials are using increasingly strong language to denounce Ms Kadeer, linking her to the violence in Urumqi. “If Kadeer and the separatist ‘World Uighur Congress’ wanted to take ethnic relations as an excuse to sabotage China’s unification, we must be vigilant and firmly crush their plot,” Ismail Amat, a former official in Xinjiang told Xinhua news. “How can such a person represent the Uighur people?” he said. Nice version of a still inspiring song.